Facebook is joining the travel planning world with a new feature that allows users to discover and book hotels, events, tours and restaurants. 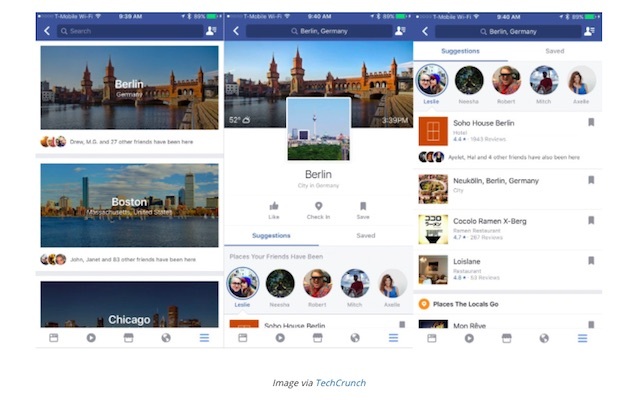 It’s called City Guides, and it’s Facebook’s latest effort at giving users a more personalized and social travel planning experience. City Guides is a new Facebook feature that gives users suggestions on what to see and do in various cities around the world. These suggestions largely come from where your network of Facebook friends have visited—information likely curated from check-ins and location services. When you navigate to City Guides (currently located under the ‘more’ icon for select users), you’ll see your list of friends who have visited that city. Click on their profile, and City Guides will show you which specific locales your friends have visited and what reviews those places have. City Guides will also showcase “Places The Locals Go” for off-the-beaten-track experiences, Upcoming Events and Popular Attractions. As Skift explains, City Guides has ‘Book Now’ buttons for businesses that already have these buttons on their Facebook Pages, along with options to tap to call or message the venue. It’s similar to Google Trips, except with the potent social recommendations from your Facebook friends and the ability to book immediately. As you can see, Facebook eventually wants you to be able to discover, plan and book your trips—all without leaving the app. So will Facebook users jump on board? For that we will have to wait and see. But in the meantime, there are a few simple steps that could potentially help your business to show up in City Guides—and at the very least amp up your current Facebook marketing results. If you haven’t read our post about amping up your User-Generated Content (UGC) marketing efforts, then start there. Every tourism business should be using UGC in their digital marketing strategy, but, more specifically, this is also an excellent way to get more Facebook check-ins from your guests and customers. And as you now know, those check-ins could influence if and how your business shows up in City Guides. The latest stats reveal that 90% of individuals claim reading a positive review online impacted their buying decisions. While TripAdvisor is typically where tourism business put most of their efforts, now is the time to ALSO ensure you have numerous five-star reviews and recommendations on Facebook. If you’re not sure where to start, here’s an in-depth guide about how to get more positive reviews. The crucial action step here is to have a Book Now button, if applicable, so that users will also be able to immediately book your business in City Guides. 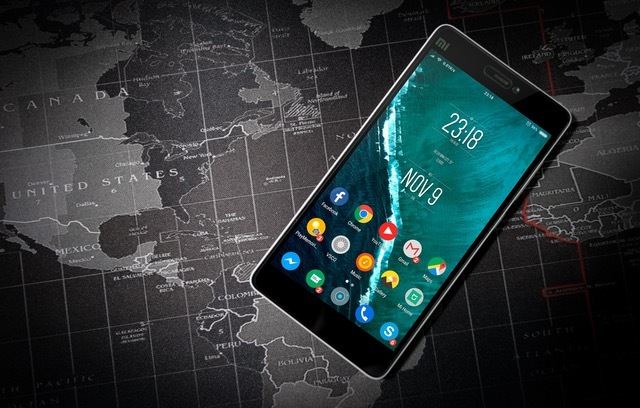 You’ll also want to make sure that your cover photo, about information, address and phone number are all fully filled out and accurate for optimal Facebook marketing ROI. We’ll be keeping an eye on Facebook City Guides to see how this new travel planning tool could influence travel marketing. In the meantime, follow the steps above and you’ll be set up for greater success when it matters. Now that you know the basics of a stellar Facebook Page that’s ready to take advantage of Facebook City Guides, it’s time to turn your Page into an inspired online community instead of a barren desert of boredom. Learn how to get more Facebook likes without spending a penny on advertising!